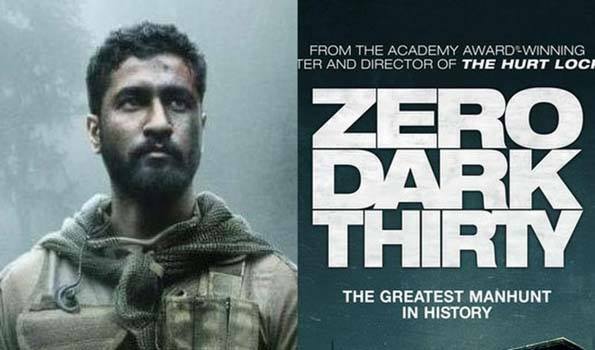 Is 'URI' inspired from Osama bin laden hunting flick 'Zero Dark Thirty'? Mumbai: One of the most anticipated films of 2019, RSVP's 'URI' has got everyone excited to witness the events took place in the history of the Indian army. As the war drama brings to screen the reality behind the surgical strikes on January 11, 'URI' draws parallels to the international hit 'Zero Dark Thirty'. Based on the coveted surgical strikes of 2016, Aditya Dhar's directorial 'URI' traces the heroic triumph of the Indian army against the militant bases of Pakistan. For the first time in the history of Indian Army, our nation took an initiative to attack an enemy, making the strike more special. As the Indian army entered the land of the enemies to wipe away the terrorists, a similarly fashioned attack was witnessed in 2011 as US army officials entered Osama Bin Laden's territory and killed him. Highlighting the 2011 US attack, 'Zero Dark Thirty' received appreciation from across the globe for it's a fierce and authentic portrayal of real life events. Vicky Kaushal starrer 'URI' will now bring to screen India's version of 'Zero Dark Thirty', bringing to screen the reality behind the surgical strike. Showcasing the story of the night that shook the entire nation, the units and short promos released by the makers showcase the dangerous operation initiated by the Indian Army in retaliation of the terrorist attack by Pakistanis in 'URI' which killed 19 Indian soldiers.